Will Your Savings Get Caught in Government Shutdown? Home » Will Your Savings Get Caught in Government Shutdown Crossfire? 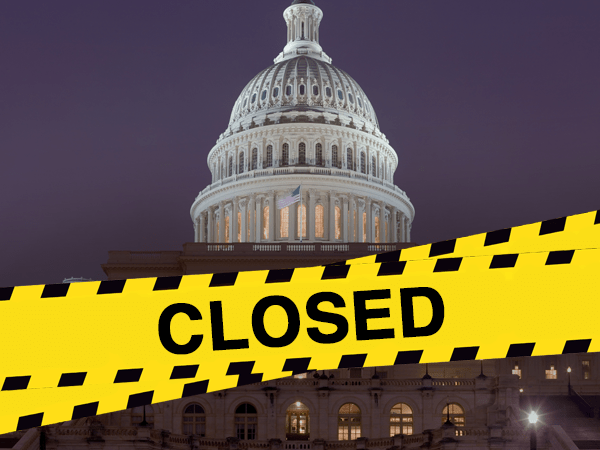 Will Your Savings Get Caught in Government Shutdown Crossfire? Donald Trump and the GOP face a major hurdle as their first budget test looms next week, along with several problematic issues that could prevent an agreement and trigger a government shutdown. The potential shutdown would put a hiccup in federal bureaucracy for a few weeks, but that’s not the real reason Americans should be worried. Turns out, there may be an unseen economic danger that could affect you and your savings. Back in 2013, federal legislators failed to reach an agreement on funding appropriation, and there were some serious consequences. This time the fallout could be just as bad, or even worse. The political mechanics of why are a little confusing, so let’s break it down piece-by-piece. There’s a sensitive relationship between the debt ceiling and the federal budget. Both require congressional approval, and big problems arise if either gets blocked. In negotiations of the federal budget, the majority party (in this case, Republicans), can hold the debt ceiling “hostage,” so to speak as a way to influence the president — plus legislators from the opposing party. Republicans have to be careful not to overplay their hand, though. If they do, it could result in a shutdown, which nobody wants — each group for their own reasons. That said, why should Americans care? What are the risks? And why could this shutdown be worse than the last? On March 15, the debt ceiling expired, and the Treasury (acting on behalf of the president) was forced to start using “extraordinary measures” to keep the U.S. from defaulting on its debt. If Congress doesn’t act briskly, we could see another credit downgrade or worse. And a government shutdown caused by budgetary squabbles would dramatically increase the chances of that happening. However, there’s one thing that makes this shutdown particularly special, not to mention uniquely risky. According to data from LPL Financial, analyzed and reported on by Ryan Vlastelica at MarketWatch, there have only been a handful of government shutdowns under one party’s control. But those few shutdowns have historically been the most economically damaging. So not only could this potential shutdown put the U.S.’s creditworthiness at risk of taking another hit (and causing a repeat of all the negative economic consequences Americans were forced to suffer last time), but it could be a big downward trading signal for equities markets as well. But in the meantime, your savings could easily get caught in the crossfire while federal politicians duke it out. The last time there was a government shutdown, then-President Obama acted like a petulant child by shutting down national parks and even fencing off national monuments and posting armed guards to keep people out. This was intentionally designed to cause conflict so that Congress would raise the debt ceiling faster — illustrating how desperately the president needs Congress to act on it. This time the president is facing off against his own party, and throwing up roadblocks to the negotiation like border wall funding. Trump is calling Republicans’ bluff, most likely because the all-important 100-day mark of his presidency is quickly approaching. Fearing scorn from media and the public for compromising his plans, Trump is increasing the chances of another shutdown (and consequently another debt ceiling crisis) to avoid losing face. Obviously, it’s not the end of the world if certain non-essential functions of government don’t have money to operate for a week or two… so what’s there to worry about? On top of that, a shutdown under single-party rule sends a message to market makers that Trump’s many proposed policies for the economy — the ones responsible for the rally in stocks we’ve seen over previous months — aren’t as likely to come true as previously hoped, which could send markets down even further. However, such a scenario would cause an equal and opposite reaction in another type of investment that Americans could take advantage of. Essentially, it would send investors flocking to safe haven investments like gold and silver, which would drive metal prices through the roof. This shutdown could send a huge ripple effect throughout the global economy, affecting financial markets across world. Securing your wealth yet with gold could be a crucial step toward ensuring your safety.